Vinyasa Yoga with Joe Sharp. Yoga helps develop a calm mind and healthy body, he wants to encourage people to realise these benefits with his supportive and fun teaching. Joe teaches Vinyasa which is also known as ‘flow’ Yoga and he’s happy teaching anyone from beginner to advanced. His classes are open to all abilities, beginners, those who are pregnant and those that have injuries. Classes begin with sun salutations and then move through a sequence of standing, seated and finishing postures then a slow cool-down. He cares about his students and aims to teach classes that everyone attending can gain something from, so they leave feeling uplifted. Joe always assesses the experience level of the group and he adjusts his sequences to ensure everyone has a fun, safe, challenging and uplifting experience. 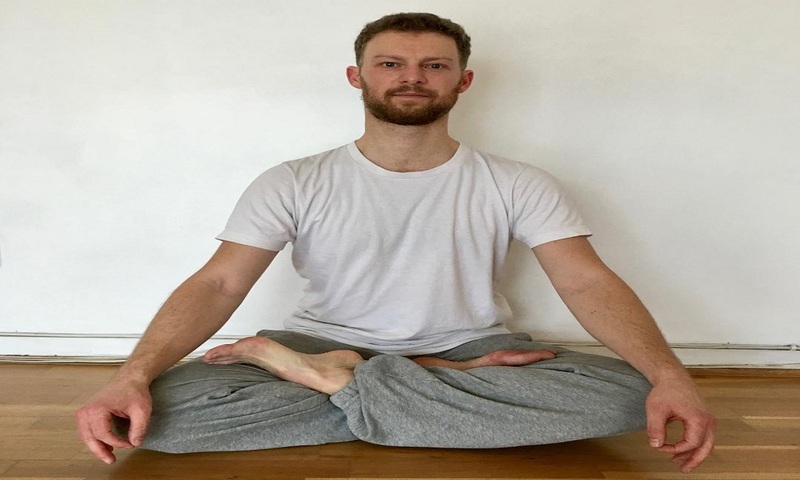 He began practising Yoga in 2008 and developed a more dedicated home practice in 2014 – he has a keen interest in the history and philosophy of Yoga and trained with Cat Alip-Douglas who is his teacher. Joe has a HND in Sports and Exercise Science and worked as a fitness instructor and personal trainer for from 1998 to 2002.